Christmas, the most wonderful time of the year when everyone makes a list. 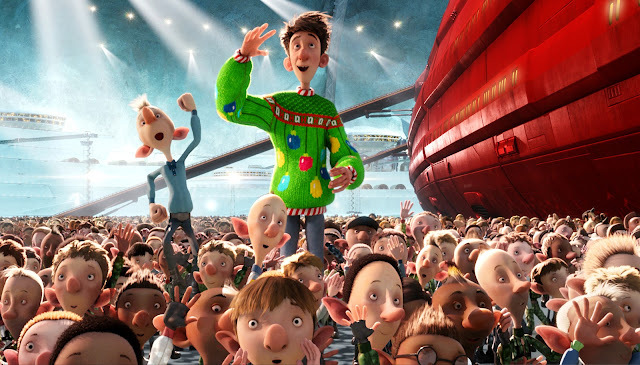 Christmas over the years has been the backdrop for plenty of old-school classics animations and latest modern animated movies favorites, that have gifted movies lovers with lots of joyful cheer. When the Christmas trees goes up, the fairy lights starts twinkling and the eggnog starts flowing, there are a lot of opportunities to get in the Christmas spirit with your kids, family or loved ones by checking out or revisiting our picks for the top 10 best animated Christmas movies to download or watch online. I have carefully reviewed a collection of best animated Christmas movies that have brought joy for generations, From classic animated movies to latest animated movies, these kid-friendly Christmas animated films are best when watched as a family during the holidays. This animation movies are of different genres, whether you are looking for a laugh, a cry, or just a heartwarming tale, these animated movies will keep your crew entertained for hours, plus some picks that can be related to the tradition which would elevate your holiday spirit (either through irony or, say, murderous clauses). Try to have a fun-filled holiday avoid thinking about all you have to do to get ready for the holiday, such as saving up for gifts, instead embrace the joy and cheer as we head into the Christmas season. From Love, Adventure, Action, Animation, Kids & Family, Science Fiction & Fantasy here are our top 10 picks of best Christmas animation movies. Produced by Illumination, a studio best known for the Despicable Me franchise, Minions and has also produced the animated films The Secret Life of Pets and Sing. The animated movie is based on Dr. Seuss book How the Grinch Stole Christmas!, it tells the tale of an infamous Grinch, who lives a lonely life with his loyal dog (Max) for company inside a cave on Mt. Crumpet. 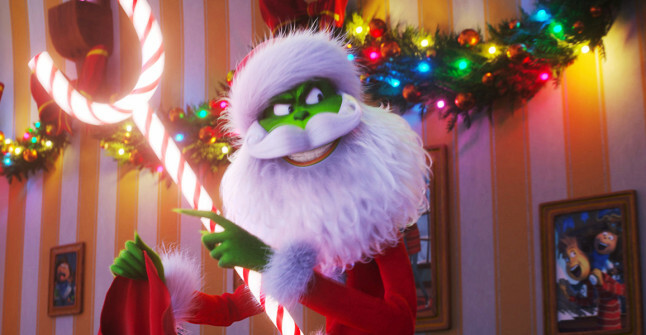 With a cave rigged with technological inventions and contraptions that provides for his everyday needs, the Grinch only sees his neighbors in Who-ville when he needs to replenish his food stocks. Each year during Christmas they disturb his tranquil solitude with their increasingly brighter, bigger and louder Christmas celebrations. When the Whos declare they are going to make Christmas three times bigger this year, the Grinch realizes there is only one way for him to gain some peace and quiet: he must steal Christmas!. One of my best favorite animation and a very popular one, breaking the 2006 Guinness World Book of Records as the first all-digital capture film. Adapted from children's book by author Chris Van Allsburg's modern holiday classic of the same name (The Polar Express). 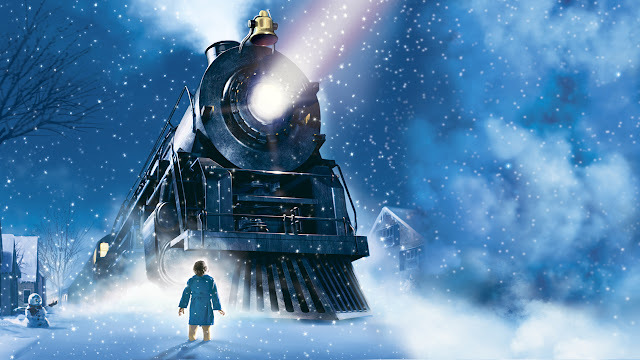 The Polar Express revolves around Billy played by Hayden McFarland, who tries to believe in Santa Claus but finds it very difficult to do so, what with his family's stubborn insistence that all of it, from the North Pole, to the man himself, to the elves, is all just a myth. However, this all changes on Christmas Eve, when a mysterious train visits Billy in the middle of the night, promising to take him and a group of other lucky children to the North Pole for a visit with Santa. The train's conductor (Tom Hanks) along with the other passengers help turn Billy's crisis in faith into an adventure of self-discovery. "The Finest unsung heroes of the first Christmas". A small but brave donkey named Bo is tired of milling wheat and wishes to join a traveling caravan so that he may feel important. One day he finds the courage to break free, and finally goes on the adventure of his dreams. On his journey, he teams up with Ruth, a lovable sheep who has lost her flock, and Dave, a dove with lofty aspirations. Along with three wisecracking camels and some eccentric stable animals, Bo and his new friends follow the Star and become unlikely heroes to fight off the bad king's who secretly sent his hunter and his two dogs, Thaddeus and Rufus, to find and kill the new King in the greatest story ever told - the first Christmas. 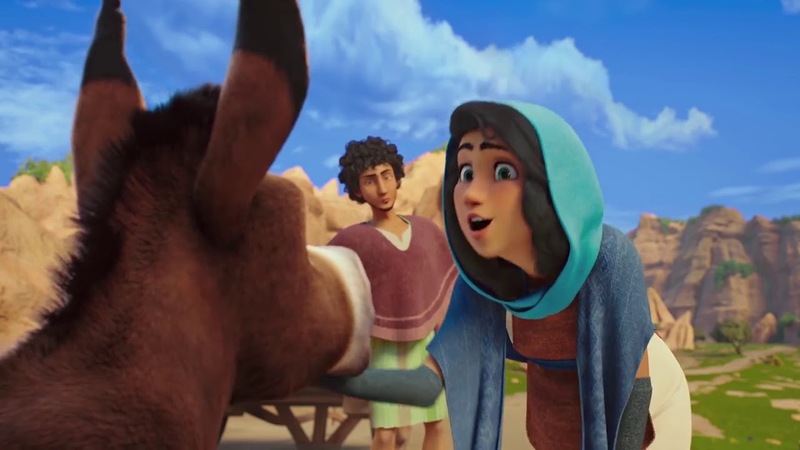 The computer animated Christian comedy movie is based on the Nativity of Jesus and it's produced by Sony Pictures Animation, with partnership from Walden Media, Affirm Films and The Jim Henson Company. Rise of the Guardians is a 2012 American 3D computer-animated action fantasy film based on William Joyce's 'The Guardians of Childhood book series' and 'The Man in the Moon' short film by Joyce and Reel FX Creative Studios. Peter Ramsey directed the film. 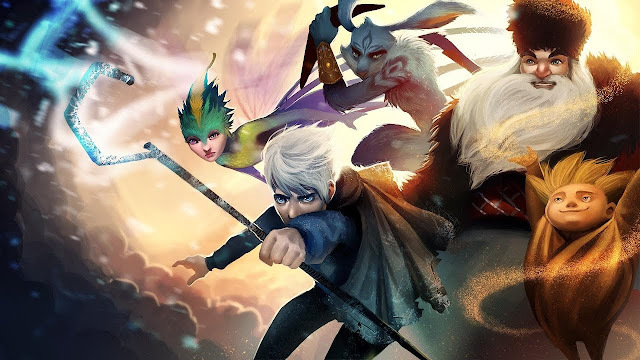 This action-packed animated movie is centered on Jack Frost a young boy whom awakens from a frozen pond with amnesia. Upon realizing no one can see or hear him, he disappears. Three hundred years later, Jack, as the young Spirit of Winter, enjoys delivering snow days to school kids, but resents that they do not believe in him. At the North Pole, the Man in the Moon warns Nicholas St. North that Pitch Black is threatening the children of the world with his nightmares. He calls E. Aster Bunnymund, Sandy, and Tooth, to arms. They are then told that Jack Frost has been chosen to be a new Guardian and must join forces for the first time to protect the hopes, beliefs and imagination of children all over the world. Directed by Sarah Smith, and co-directed by Barry Cook, it stars the voices of James McAvoy, Hugh Laurie, Bill Nighy, Jim Broadbent, Imelda Staunton, and Ashley Jensen. 'So how does Santa deliver all those presents in one night?' The answer: Santa's exhilarating, ultra-high-tech operation hidden beneath the North Pole. Set on Christmas night, the animated movie tells a story about Santa Claus's clumsy son Arthur Claus who discovers that the Santa's high-tech ship has failed to deliver one girl's present. In response, he goes on a mission to save her Christmas, accompanied only by his aging grandfather, a rebellious yet enthusiastic young Christmas Elf obsessed with wrapping gifts for children, and a team of eight strong, magical yet untrained reindeer in less than two hours to Christmas. A Christmas carol is an animated movie which tells a story From Charles Dickens' classic novel about a Victorian-era miser taken on a journey of self-redemption, courtesy of several mysterious Christmas apparitions. Though London awaits the joyful arrival of Christmas, miserly Ebenezer Scrooge played by Jim Carrey thinks it's all humbug, berating his faithful clerk and cheerful nephew for their view. Later, Scrooge encounters the ghost of his late business partner, who warns that three spirits will visit him this night. The ghosts take Scrooge on a journey through his past, present and yet to come take him on an eye-opening journey revealing truths Old Scrooge is reluctant to face, he must open his heart to undo years of ill will before it's too late, in the hope of transforming his bitterness. A classic 1993 American stop-motion animated musical dark fantasy Halloween-Christmas movie directed by Henry Selick, and produced and conceived by Tim Burton. 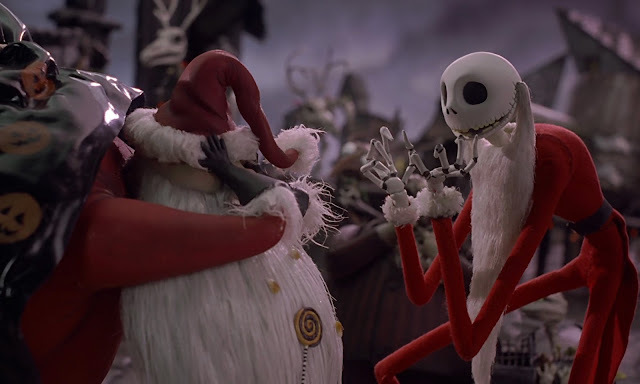 The nightmare before Christmas tells the story of Jack Skellington, "Pumpkin King" and the King of "Halloween Town" a fantasy world filled with monsters, ghosts, ghouls, goblins, zombies, demons, mummies, vampires, werewolves, and witches. Leads them in organizing the annual Halloween celebrations who stumbles through a portal to "Christmas Town" and is so taken with the idea of Christmas that he tries to get the resident bats, ghouls, and goblins of Halloween Town to help him put on Christmas instead of Halloween but alas, they can't get it quite right. The short is an adaptation of Charles Dickens' novel A Christmas Carol. When Grouchy Smurf behaves badly to everyone and refuses to celebrate Christmas. On Christmas Eve, the Smurfs get ready for their Christmas party. Hefty Smurf and Handy Smurf cut down a Christmas tree, and by Christmas evening, they all finish and start to celebrate. 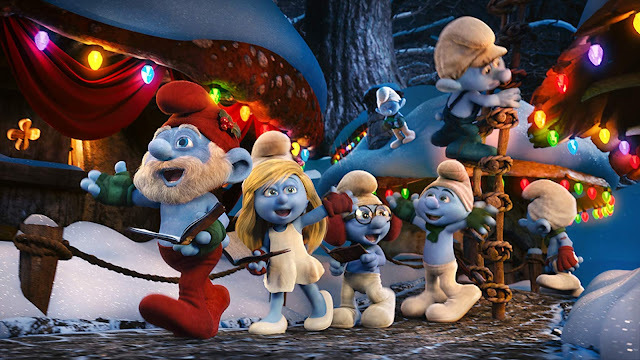 Grouchy Smurf refuses to join the party, expressing his hatred towards Christmas but the Smurfs of Christmas Past, Present and Future teach him to appreciate Christmas. 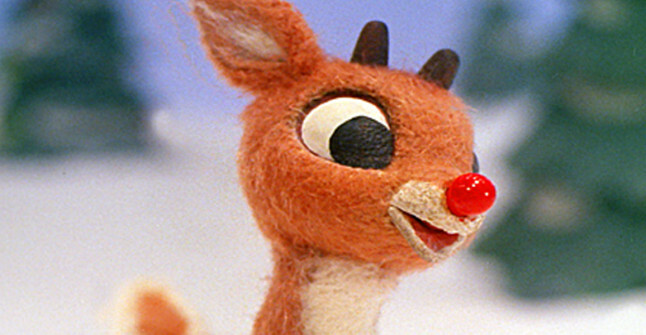 A 1964 Christmas stop motion animated television special produced by Videocraft International, Ltd. (later known as Rankin/Bass Productions) and currently distributed by Universal Television based on the Johnny Marks song "Rudolph the Red-Nosed Reindeer" which was itself based on the poem of the same name. Rudolph vows to see if he can get Santa to help the toys, and he goes back to the North Pole on Christmas Eve. But Santa's sleigh is fogged in. But when Santa looks over Rudolph, he gets a very bright idea. "You like to move it ? cause i like to move it move it" Merry Madagascar is not left out of this list of best animated Christmas movies. A Christmas special first broadcast on the NBC network on November 17, 2009, which starred the characters from the Madagascar film series. As the story begins, Alex (Ben Stiller), Marty (Chris Rock), Melman (David Schwimmer), and Gloria (Jada Pinkett Smith) attempt to escape Madagascar and return to New York City using a hot air balloon they built, only to be thwarted by the lemur population, led by King Julien (Danny Jacobs), who mistake them for the "red night goblin" that visits every year at this time, the 24th of "Julianuary". Immediately after that, the "red night goblin" appears and begins showering the island with coals. Evading the barrage, Alex manages to shoot it down, but the four friends discover that the "red night goblin" was in fact Santa Claus, after Santa and his reindeer crash onto the island of Madagascar it's up to Alex, Marty, Gloria, Melman and those wacky penguins to save Christmas. Get ready for a sleigh full of laughs in this hilarious new holiday classic. I hope you enjoy this list of the top 10 Best Animated Christmas Movies To Download Or Watch Online, Some of the Best Animated Christmas Movies To Download Or Watch Online are available on Netflix, You can also order a DVD copy on amazon but if you are looking for a where you can download these Christmas animations movie for free read: Top Websites To Download Free Movies And TV Series For PC And Mobile Phones i complied the best sites where you can easily download or watch these animated Christmas movies straight to your phone, PC or any device of your choice without registrations or fees. If you have seen some of these Christmas animation movies or TV shows, tell us if you find them fun or if you feel there is any Christmas animated movies worthy of this list comment as we would love to hear from you.